Is your heart set on having something that is uniquely yours? Do you have ideas that you have been dreaming about? 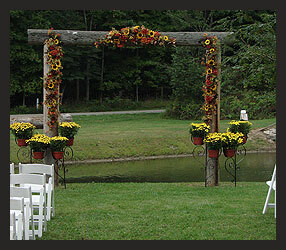 We would love to meet with you to tailor a wedding ceremony that reflects your heart. This ceremony includes a one hour get-to-know you meeting, a one hour planning meeting, email consultation and a forty-five minute rehearsal. Add to basic package if more than two attendants apiece. A deposit of $100 for standard wedding packages and 50% of custom wedding packages is required to reserve your wedding date and time. The deposit is applied toward your total fee and is not refundable. The balance is due on your wedding day. Fees for short notice weddings scheduled less than two weeks in advance must be paid in full in order to reserve your wedding time. $50 per hour travel outside the Colorado Springs area. First hour is free. Covers mileage and time. If yours is a far away and a late day wedding, we may request hotel and meals.